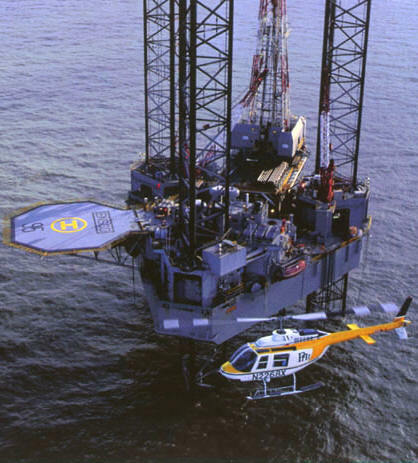 July 29, 2009, Houston, Texas ATP Oil & Gas Corporation announced today that the ATP Innovator is the first Gulf of Mexico offshore platform to install an Automatic Dependent Surveillance-Broadcast (ADS-B) system for air traffic control to and from platforms in the Gulf of Mexico. ATP Oil & Gas Corporation ATP Oil & Gas is an international offshore oil and gas development and production company with operations in the Gulf of Mexico and the North Sea. Automatic dependent surveillance-broadcast (ADS-B) is a cooperative surveillance technique for air traffic control and related applications. An ADS-B-equipped aircraft determines its own position using a global navigation satellite system and periodically broadcasts this position and other relevant information to potential ground stations and other aircraft with ADS-B-in equipment. ADS-B can be used over several different data link technologies, including Mode-S Extended Squitter (1090 ES), Universal Access Transceiver (978 MHz UAT), and VHF data link (VDL Mode 4). ADS-B provides accurate information and frequent updates to airspace users and controllers, and hence supports improved use of airspace, reduced ceiling visibility restrictions, improved surface surveillance, and enhanced safety, for example through conflict management. Under ADS-B, a vehicle periodically broadcasts its own state vector and other information without knowing what other vehicles or entities might be receiving it, and without expectation of an acknowledgment or reply. ADS-B is automatic in the sense that no pilot or controller action is required for the information to be issued. It is dependent surveillance in the sense that the surveillance-type information so obtained depends on the suitable navigation and broadcast capability in the source vehicle. A similar solution is the Automatic Identification System (AIS), a system used by ships and Vessel Traffic Services. ATP partnered with the Federal Aviation Administration (FAA) Surveillance and Broadcast Services Office, Helicopter Association International (HAI), Gulf helicopter operators, and other offshore oil and gas companies to implement this new technology. ADS-B uses precise location data from the global satellite network to provide real-time, radar-like traffic information directly to ADS-B equipped aircraft, then transmitted to shore to the FAA and to air traffic controllers and other aircraft. In addition, the system will provide helicopter operators in the Gulf immediate access to updated weather information and other flight information services. The system on the ATP Innovator platform will be part of a larger network of systems which are set to go operational in December 2009. “The safety and security of our offshore industry personnel is of utmost priority,” stated T. Paul Bulmahn, Chairman and CEO of ATP. “Helicopters serving oil and gas installations conduct as many as 7,500 trips each day to offshore platforms over a 500 mile-wide area along the Texas, Louisiana, and Mississippi coastlines, extending 250 miles out into the Gulf.